Nothing jumps on trends faster than the advertising world. And if great minds think alike, would they also spin the same music? Or would one agency be totally different from another? 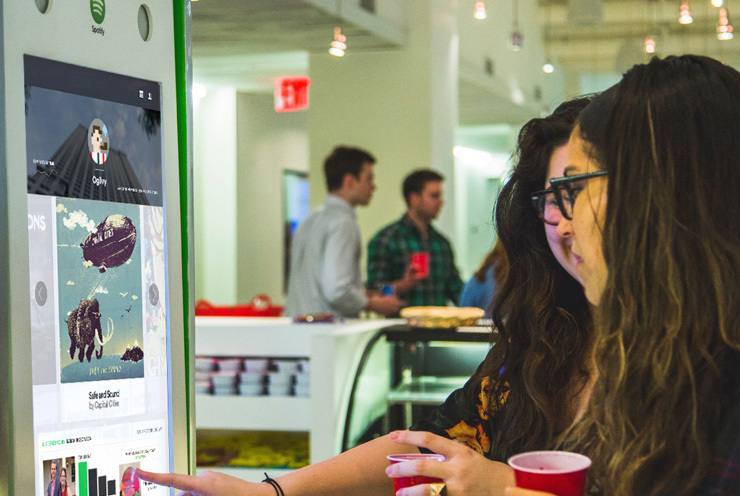 Spotify and Ad Age came together to try to answer those questions, starting a con­ver­sa­tion with the advertising industry around what music inspires their best creative work. 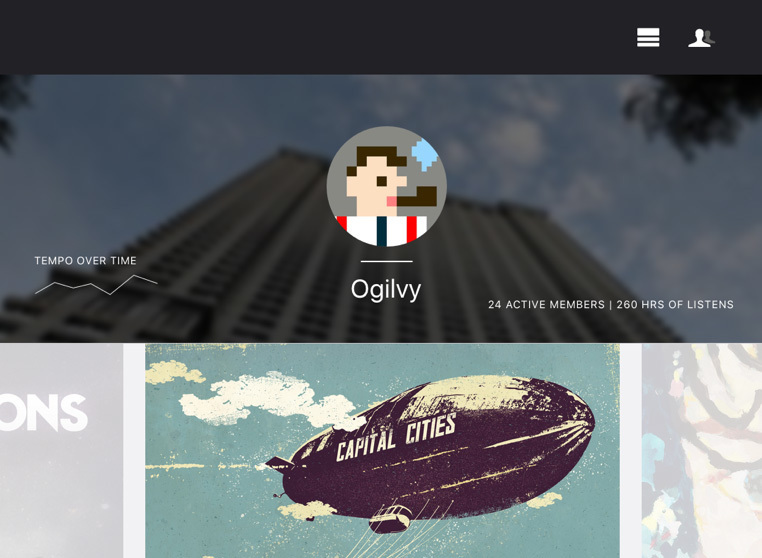 That’s when we were hired to create a place for this interaction: Resonate, a modern jukebox and community built around music, where ad agencies can sign up, answer a few questions and share with other ad agencies around the world. 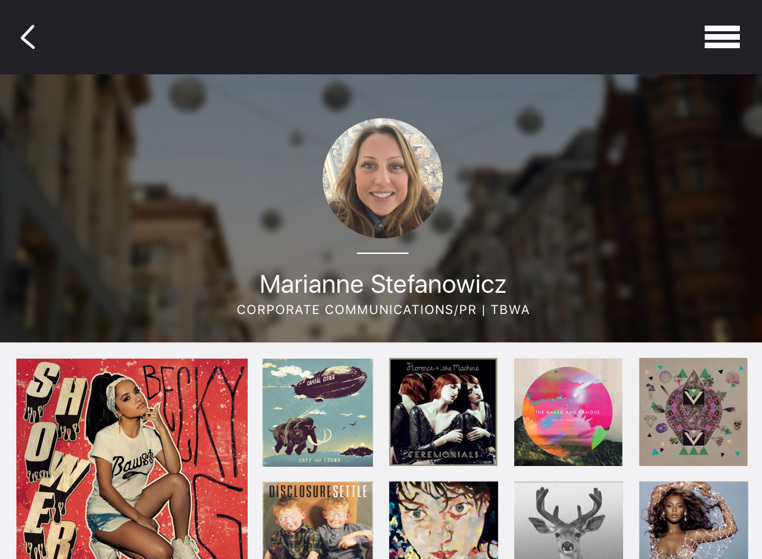 Resonate, a modern jukebox and community built around music and sharing for advertising agencies. 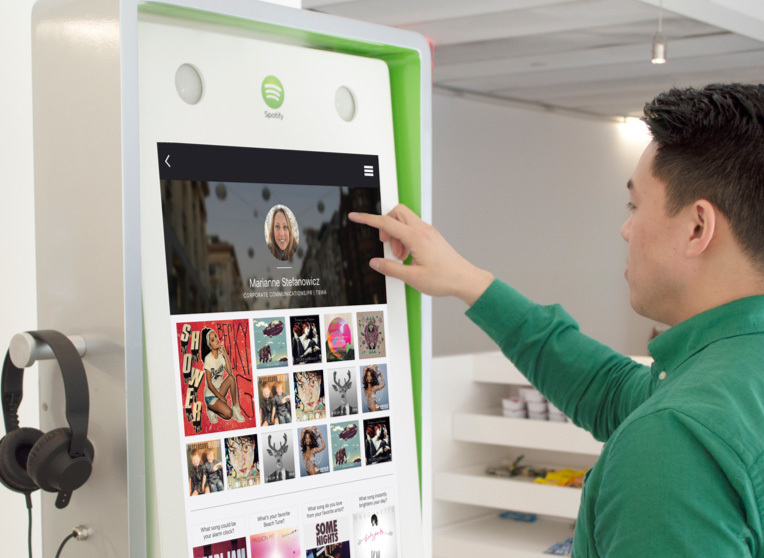 As an extension of the Resonate program we created a physical touchscreen jukebox that was installed at media agency partners offices. They could see what their colleagues were listening to, explore and queue up tracks to listen on headphones or crank the speakers for happy hour parties. 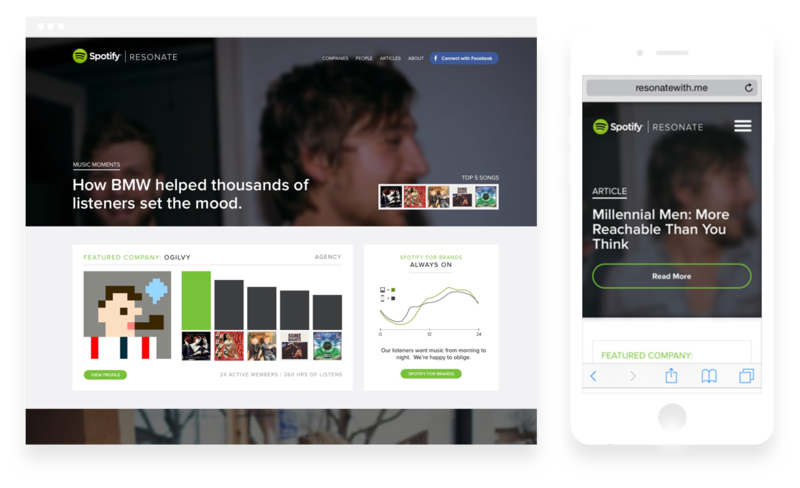 The design featured editorial content, profiles with listening dashboards for individuals and companies, and data stories from Spotify.